Until recently, I never understood why my skin would get oilier and oilier in the wintertime, and seem to get a little less oily in the summer. Always seemed like I should have the opposite problem: summer is hotter and therefore I should be more oily, right? For example, every time I went back to Hawaii, my skin would get less and less oily every day. Hawaii is so humid and hot… you would think it would make my skin overreact with tons of sebum-production. This weird contradiction really confused me for years, which resulted in me getting the wrong skin care products and doing the wrong skin routine. For WAY too long. And treating my skin with the wrong products resulted in more sebum, larger pores, and overly-sensitive skin. But now – finally – I get it! The puzzle pieces fell into place and I unlocked the mystery. All those years, I suffered from severely dehydrated skin, which was only getting worse the more I ignored it or treated it with the wrong products. So in this post I will be discussing two incredibly common skin issues: dry skin and dehydrated skin. Chances are, you’re dealing (at least a little) from one of them (or both). And like me, you may not even realize it! People are born with naturally dry or oily skin. Dry skin is a skin type. Just like oily skin is a skin type. Dehydrated skin is a skin condition, and can arise temporarily or long-term. Acne and rosacea are also skin conditions. You could be dealing with just one condition, or you could be dealing with an array of conditions. When your skin type becomes a condition is when your dry or oily skin start to cause problems for your skin such as acne, sensitivity, or premature aging. Dry or Dehydrated skin conditions can affect people for a short time, or be a life-long issue. Understanding and treating these conditions properly can help stop skin problems in their tracks, and hopefully reverse the damage. Dry skin is actually a skin type that you’re born with, and it’s skin that lacks oil. When you put on moisturizers and oils, your skin usually absorbs it pretty quickly. The best way to treat dry skin is by stop using harsh products that strip your skin, use mild cleansers, and apply protective oils through moisturizers that are heavy in oils. 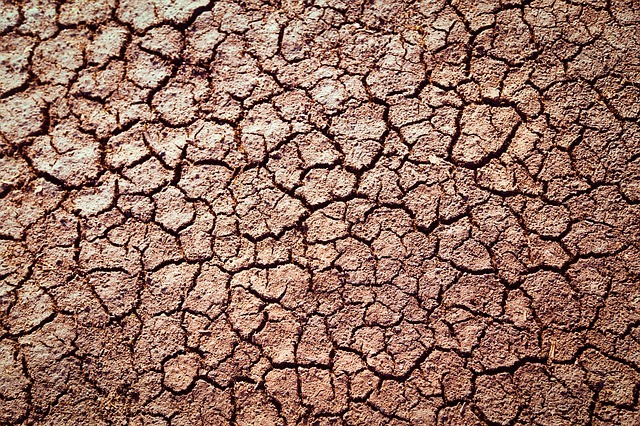 Dry skin, if not taken care of correctly, can result in the condition of dehydrated skin. Dehydrated skin means that it is lacking water, and it can occur because of a lot of factors: how much water you drink, foods you eat, climate, weather, makeup, and product use. Dehydrated skin can over-produce sebum and oil to try to keep your skin hydrated and healthy. This can cause oily skin, acne, irritation, dry patches, rosacea, etc… All because your skin isn’t getting enough water! To make it worse, you can easily misdiagnose yourself (or be misdiagnosed by dermatologists) as an oily skin type. Using products for oily skin could then make your skin even worse! You’re trying to take care of your skin, stop the excess oil production, but unknowingly you’re causing more damage to your skin. The best way to treat dehydrated skin is to apply hydrating moisturizers and help the skin to retain its own water. Drink more water or eat more water-rich foods such as watermelon and cucumber. Apply your products immediately after getting out of the shower so that you can help “trap” the water and moisture in your skin. Choose gentle products that don’t strip away your moisture, and keep adding more and more hydrating moisturizers that include humectants (like glycerin and hyaluronic acid) for your skin. Adding facial oils aren’t a bad idea either as they will provide an extra layer of moisturizing protection for your skin! So if you suffer from oily skin, or other conditions, you might want to try experimenting! Take a month to try a few new products or change your habits to see how your skin reacts. Treat your skin as suffering from a dehydrated condition, and add as much moisturizers as possible! You may in fact see a quick improvement. With the proper care of your dehydrated skin, your skin will calm down and produce less sebum and less irritation. My skin improved radically since I started treating it as a dry skin type with a dehydrated skin condition. My skin is less irritated, don’t suffer much with acne, and doesn’t produce as much oil. This is really helpful! Btw, can you over-moisturize your skin? Great question! I looked this up, but I didn’t see anything that would indicate if you can over-moisturize, and if this in fact would be bad for you. I think as long as you’re using the right type of moisture for your skin, over-moisture shouldn’t be a problem. Thanks for the question though! I will keep this in mind as a possible blog topic. Hello! I found this post very great! I recently started with korean cosmetics, and I feel I might have dehydrated skin since when I clean my face, later on in the day my nose would feel oily, so I would go and wash it again, since its kinda an annoying sensation, but if the information you are providing matches with my skin type, then it means I’ve been harming it more than actually helping it. I was wondering if you have any recommendations into what moisturizers I should use on my face. Hi! Thank you for your kind words! And your English is perfect, actually. My favorite moisturizer is Nature Republic Super Aqua Max Moisture Watery Cream (https://kabukigirlblog.com/2014/11/12/review-nature-republic-super-aqua-max-moisture-watery-cream/). Also, you can always use oil-blotting sheets to get rid of excess oil. Try not to wash your face more than 2X a day! Ps:would you recommend missha super aqua hydrating emulsion? I can absolutely believe that using those products ended up causing a bad reaction with your skin… There are so many chemicals and bad fillers thrown into products that may not be the best for your skin. And unfortunately, you end up learning the hard way. If you’re serious about taking care of your skin, this is what you need to do: read the ingredients list on both products and start doing research. Compare the products to what you used to use and see what’s different that caused such a bad reaction. Did the l’oreal products have more solid carrier oils? More silicones? Any fragrances? Any essential oils? These are just some of the common ingredients that many people are sensitive to… My skin cannot handle solid carrier oils so I avoid them like the plague! Next, you need to start experimenting with other products, carefully avoiding certain ingredients that you suspect you might be sensitive to… Time consuming, but trust me, that’s how I learned to finally take care of my skin! The results will be 100% worth it. Start out with eliminating all solid carrier oils. (this seems to get a lot of results in my friend’s skin too.) Start by using Nature Republic’s Aqua Max Moisture Cream (the pink one). I cannot recommend any Missha stuff because they ALL have solid carrier oils. But for now, to help your skin, do NOT do anything crazy and treat your skin gently. Nurture your own skin’s natural defenses to gently eliminate the black heads and big pores. Read https://kabukigirlblog.com/2014/10/17/acne-rosacea-and-enlarged-pores-oh-my-how-i-learned-to-nurture-my-skin-to-eliminate-acne-and-sensitivity/ and https://kabukigirlblog.com/2014/12/01/the-good-the-bad-and-the-ugly-how-to-properly-take-care-of-and-possibly-reduce-enlarged-pores/ to find out how I did this. ALWAYS be gentle to your skin. Wash your face with gentle pH balanced cleansers and a konjac sponge, and moisturize, moisturize, moisturize! Use pore-reducing products only sparingly (like a mask 2x a week at the most). Your skin regenerates every month, so as long as you don’t abuse it, it will heal itself (almost) back to normal over time. But unfortunately, big pores sometime get so stretched out that they will never bounce back 100% (like mine). Although young skin tends to bounce back better! What you can do is to try to prevent them from getting worse. Hi, I would like to share with you some of my skin pictures because I seriously have no idea how to treat it anymore. I have A LOT of skin bumps (or you might prefer them as clogged pores) on my forehead and chin, large pores and some clogged pores on my cheek. From some angles, my skin looks fine but from another angle, my skin is the worse and horrible, I (sadly have to say) HATE it. I really want you to see my pictures so that you can understand my condition better, so maybe I can send them to your email? I will explain my products in the email also. Please help me, thank you. Hi Precelia, I want to remind you that I am NOT a dermatologist, and I have no medical training. I might not be able to help you at all because everything I know and write about on my blog is based on my own research and taking care of my own skin. But, I am absolutely willing to help you, so you can email them to me at kabukigirlblog@yahoo.com. I promise I won’t share any of the pictures. And I’ll try to give you some advice if I know of anything, ok? Thanks for all the info! I actually have oily and dehydrated skin from over exfoliating. This was a great explanation!